Are you Irish? Then this lucky Shamrock is a must! 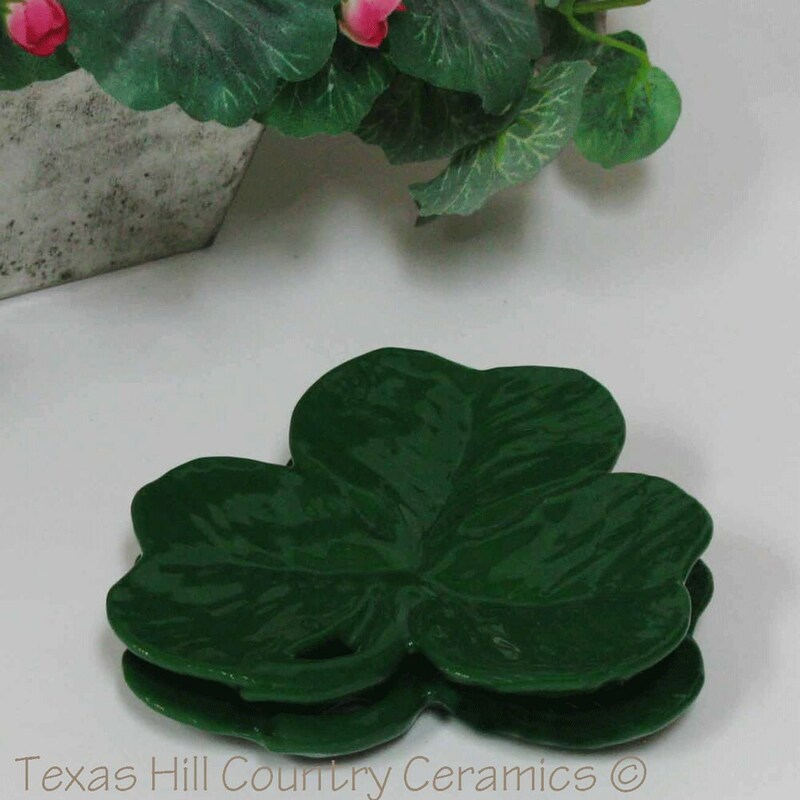 This ceramic Irish Green Clover is ideal as Tea Bag Holder, small Spoon Rest or just as a catch all for things you want to keep in one place on your desk or work area. It also makes a great gift for any one of Irish descent. 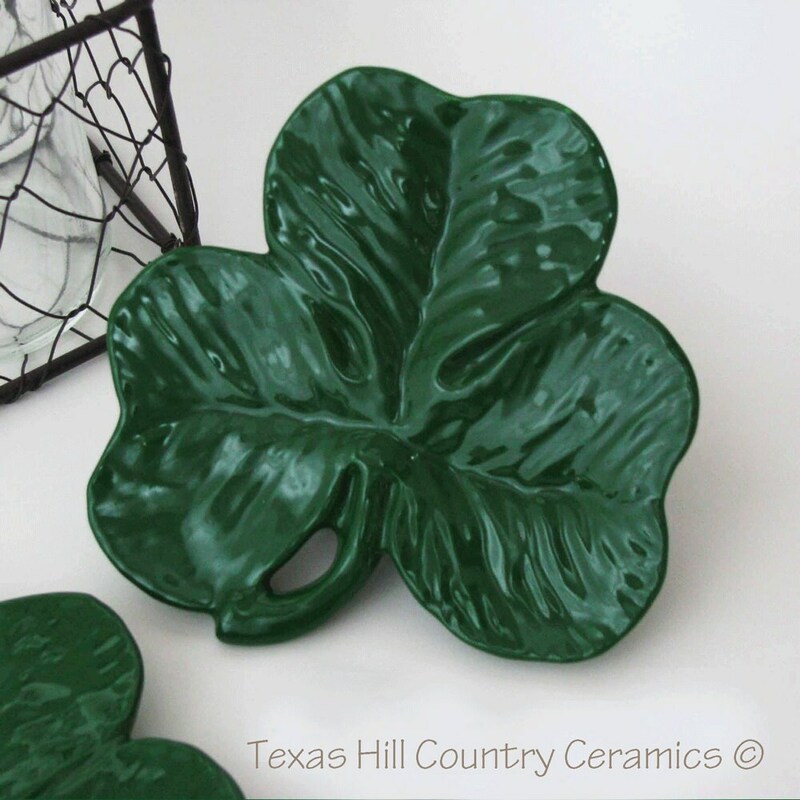 The shamrock is hand made, each one is hand cast from a ceramic mold for uniformity. I use a premium earthenware clay slip and kiln fire each one a minimum of 2 times. The finish is a non-toxic glaze. 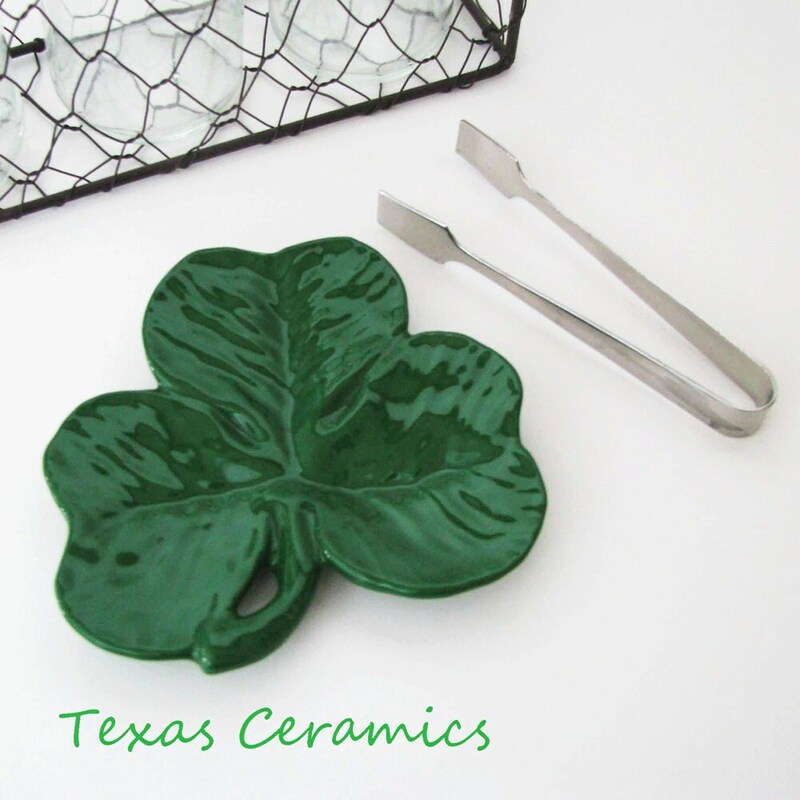 The ceramic green Shamrock can also be used as a holder for rings (would look nice next to your sink), coins or change, paper clips, tacks, staples (not the run of the mill desk accessory), keys, mini soap bars, or a dish scrubber, a vegetable brush, coffee (java) pods, sewing items (pins, needles, etc.) and of course tea bags, or teaspoons, the uses are unlimited. 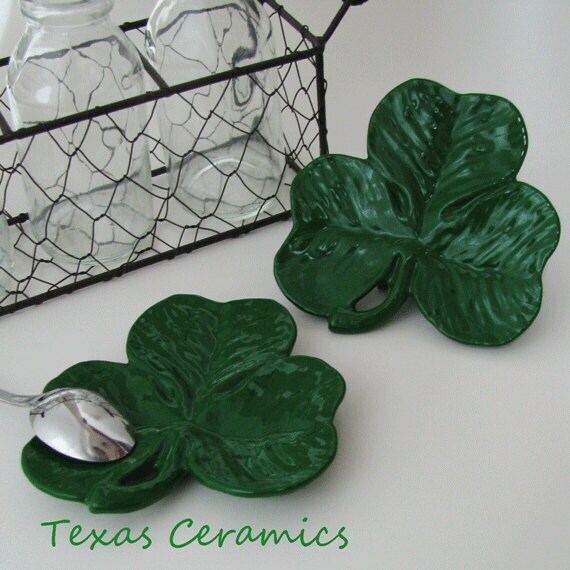 This listing is for one green shamrock tea bag holder. Shipped timely and item was exactly like photo. 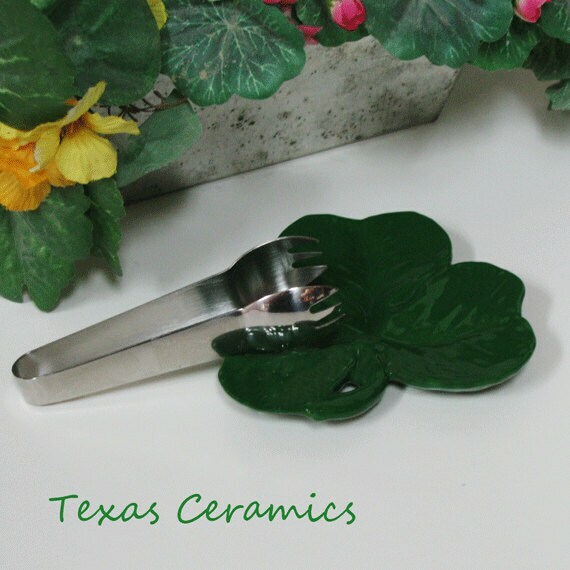 I use it as a spoon rest next to my coffee machine to add a little St Pat’s flair.